Students can choose from 37 majors and 48 minors and concentrations, with more than 800 courses offered each year. The student-to-faculty ratio is 10:1 with an average class size of 17 students. 76% of students enrich their education with local internships and research opportunities at over 200 sites within 8 miles of campus and more at other locations nationwide. 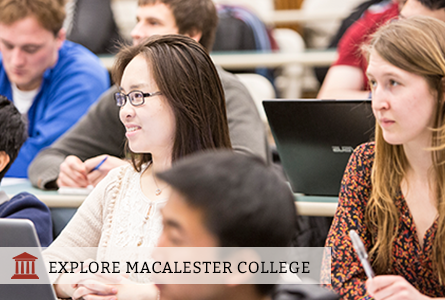 Macalester has the oldest, broadest, and deepest International Studies program of any private liberal arts college in the world. 60% of students study abroad for 12 weeks or more.